Hearing Health Foundation (HHF), the largest nonprofit funder of hearing and balance research, is thrilled to be recognized by Consumer Reports as one of the “Best Charities for Your Donations” for the second consecutive year. Consumer Reports’ prominent charity roster, released annually to facilitate informed giving, includes 11 categories ranging from Animal Welfare to Youth Development. HHF is acknowledged as a top-rated nonprofit in the Blind and Hearing-Impaired category, and the only organization listed whose mission is to better the lives of those with hearing loss. The “Best Charities for Your Donations” are determined using metrics from three major charity watchdogs: BBB Wise Giving Alliance, Charity Navigator, and Charity Watch. These watchdogs independently research charities’ financial histories and moral standards to evaluate how donors’ contributions are used. Each of them have previously highlighted HHF for its excellence in fundraising, governance, effectiveness, and financial standards. 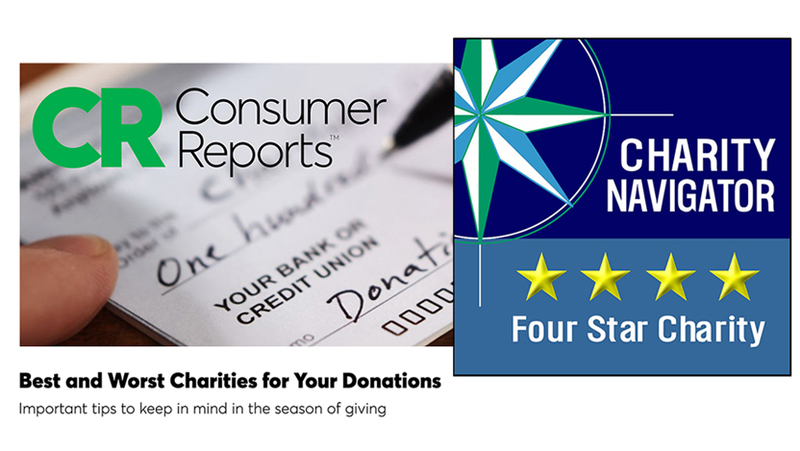 HHF’s superior charity ratings and our placement on the Consumer Reports list illustrate how we pursue our mission in a financially responsible way. These accolades differentiate HHF from its peers and assure donors we are worthy of their trust. HHF exists to better the lives of those with hearing loss by funding life-changing research and through our awareness and education programs. Our endorsements from Consumer Reports and charity watchdogs show our commitment to our mission. We have achieved many scientific milestones in our 60 years, but more work is needed. We are grateful to those who give their time and financial resources in pursuit of better treatments and cures for hearing and balance conditions.